Arguably the worst two trophy/achievements in Monster Hunter: World is getting practically every small and large crown, especially since the description is wrong and they require gold for the last two. While this can be done by repeatedly doing the same mission, playing a lot and eventually getting lucky or trying to figure out the pattern, something that has been true in previous games, it seems events are the way to go. 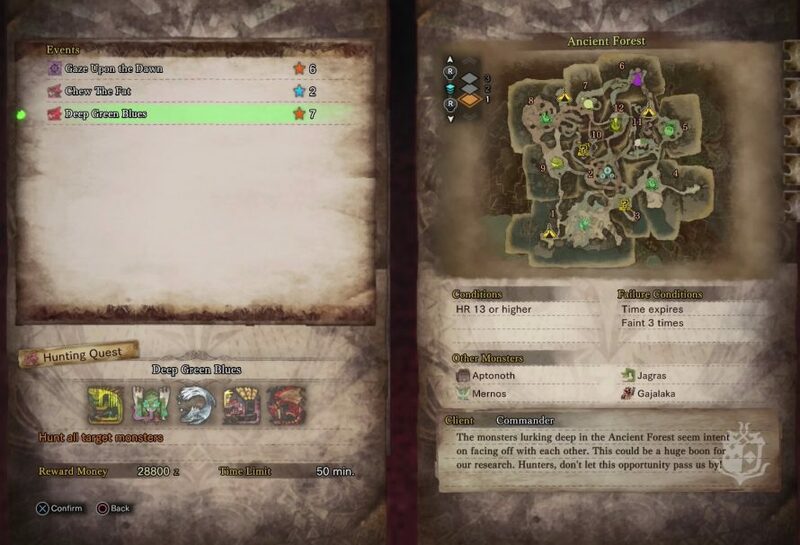 While the Universal Studios Japan event has a guaranteed chance of getting the small and large Great Jagras crowns and the Street Fighter V event yields a large Barroth, Deep Green Blues has an increased chance of giving 10 different crowns. 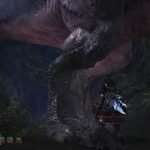 All five of the monsters, Great Jagras, Tobi, Anjanath, Rathalos and Pukei-Pukei, all have an increased chance of giving the large or small crown. This makes it the perfect event to grind for these monsters, especially since you can get most of them in under 10 runs. To maximize your grinding potential, here are three tricks to make runs go faster. Unless you’re really weak or not that good, it’s much faster to solo the mission than do it in a group. So much faster that I can kill the Great Jagras before I run out of stamina and down Pukei-Pukei before my Rocksteady Mantle expires. From there, prioritize killing the monsters you need, over finishing the mission. 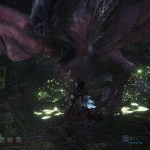 Killing/capturing one monster will spawn Anjanath and two will bring Rathalos, so do whatever the minimum is and then return from the quest. Like the video above, it will give you credit for what you killed, at the cost of materials and experience. Not a great tradeoff if you can do the mission extremely fast but extremely useful if you only need two of three. The final trick is to pay attention to the monsters size. As the name suggests, monsters come in various sizes that make a difference in game. The pictures above show two Anjanath, with at least the left one being bigger than the small crown size, showing a clear difference in size. By using your character as scale, try to guess the monsters size and only engage if you think it’s what you’re looking for. In addition to this, the upcoming events page shows a similar missions called Wildspire Bolero for Wildspire Waste and Coral Waltz taking place in the Coral Highlands, both of which are assumed to offer similar results. PlayStation owners might want to keep in mind that the upcoming Horizon event is against an Anjanath that is supposedly quite large.